ブラショブ – キャンプ場 ブラショブ. 地図 ブラショブ, すべてのキャンプ場の写真とレビュー ブラショブ. Black Church and Councile Square are 200 m away. Nicolae Titulescu Park can be reached within 400 m. Bran Castle, also known as Dracula’s Castle, is at a distance of 27 km from the JugendStube. A cable car leading to Tampa Mountain is 1.6 km away. A panoramic view of Brasov can be enjoyed from the mountain top. Usually there are daily tours to Rasnov Fortress, Bran Castle , Peles Castle and Bear Sanctuary ,organized by transportation companies . Places of interest for sightseeing Brasov, Rasnov, Bran, Sinaia and Zarnesti which is is located in the depression section Zarnesti-Baraolt, at the foot of National Park Piatra Craiului, it is a good start point for climbing and hiking routes in the massif. Each of our rooms at the hostel have a city or mountain view. Relaxed atmosphere and good common facilities. Clean and well equipped room with a private bathroom. Couldn&apos;t have asked for a better action, and the guy who worked the desk was amazing! Gave great recommendations for food, sights/towns to see, and helped us out with train schedules. The staff were really friendly and helpful with anything we needed. It was in a good location in the old town with easy access to buses if we needed them. Good location, nice atmosphere, clean and newly rennovated and computers for public use. I stayed in a four bed rooms With no ventilation. During the winter it may not matter but in summer was terrible. The hostel was extremely central and it was the best breakfast I have had in a hostel, I hadn&apos;t expected of either so it was a nice surprise to have omelette and ham rather than just cereal or bread and jam. The hostel was clean and the staff were friendly. Anna was extremely helpful during my time here. She was kind enough to teach me some Romanian and makes a very good omelette. The location is perfect, 1 min from the Black Church and Main Square. The dorms are spacious and the beds are comfortable. 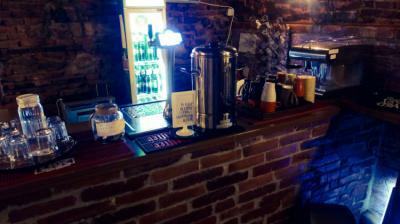 Located in the Old Town in Brasov, our hostel is close to a market, bank, post office. All the touristic attractions of Brasov's Old Town are within walking distance of our hostel. Our central location in Old Town means we are conveniently close to everything by foot 8. 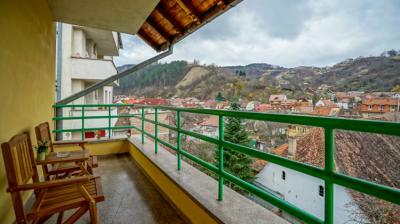 Popular points of interest near the villa include Council Square, Braşov Adventure Park and Paradisul Acvatic. 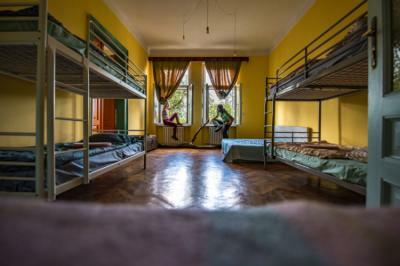 A great hostel! A real &quot;homey&quot; feeling, extremely helpful and friendly staff, and very clean. The dog is wonderful to! The staff was great and the location was great as well. Everything was spot on! Really enjoyed our stay here, great rooms in a quiet area but easy walking distance to main sights. Would definitely choose to stay here again. Great amenities, friendly staff. All around a very strong offering. 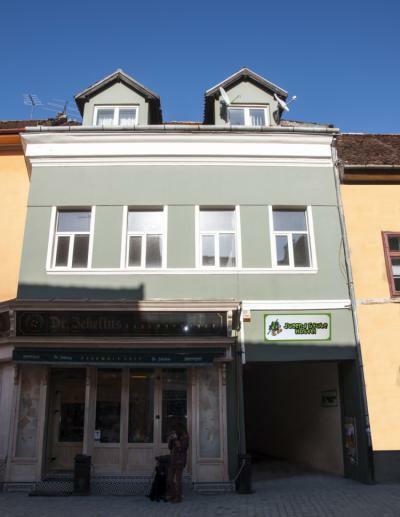 The hostel is close to the city center and main attractions. The rooms are spacious and airy plenty of room to relax and move around. Beautiful gardens. They have a spacious garden where you can bbq and lounge around. They also have a fully equipped kitchen for indoor cooking. Plenty of washrooms. Very clean hostel.